Nationwide Insurance: "Make Safe Happen"
Nationwide Mutual Insurance Co. Super Bowl XLIX Commercial: "Make Safe Happen" (2015). 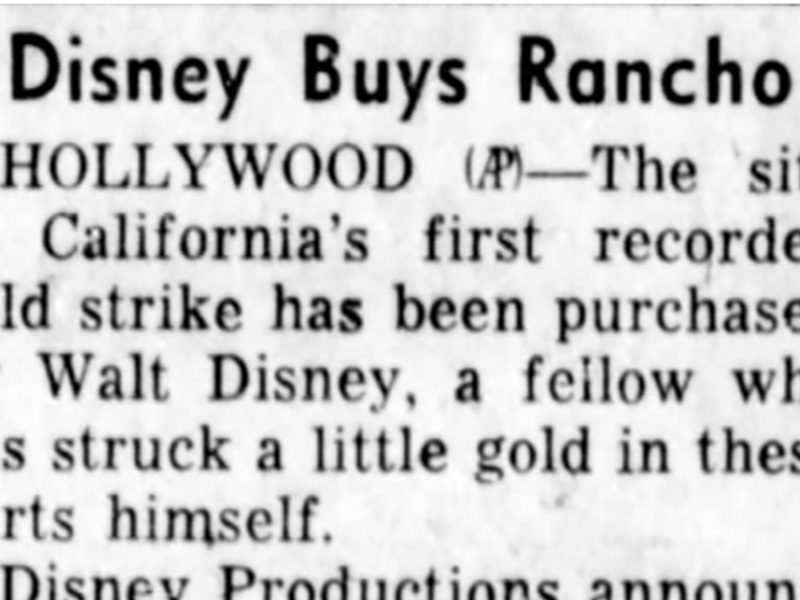 Filmed at The Walt Disney Co.'s Golden Oak Ranch in Placerita Canyon and at Santa Clarita Studios in Valencia. Columbus, Ohio — Nationwide, one of the largest and strongest diversified insurance and financial services organizations in the U.S., today announced the launch of Make Safe Happen — a program focused on increasing awareness and providing tools to change home safety behavior. According to the Centers for Disease Control and Prevention (CDC), preventable injuries are the number one cause of death of children. Nationwide is committed to take action and increase awareness of the cause in partnership with leading experts and stakeholders. Today, there is a lack of awareness around this issue. National research conducted by Nationwide shows that most parents (94 percent) report their homes are the safest place for their children despite the alarming number of injuries and deaths. Additionally, nearly two-thirds of parents believe they are doing an acceptable job keeping their kids safe at home. "This is a difficult issue to talk about. Kids getting injured and dying from preventable accidents is hard to imagine, and that's why Nationwide is creating awareness to Make Safe Happen everywhere," said Matt Jauchius, Nationwide's chief marketing officer. "Nationwide has always been committed to protecting what matters most — your kids. This is an issue we've been passionate about as a company for nearly 60 years. We're committed to make resources available to help prevent these tragedies from taking place." 1. Tools: The new Make Safe Happen mobile app allows parents and caregivers to learn as they go with room-to-room safety checklists and personalized links to recommended safety products. The app, created in partnership with Nationwide Children's Hospital, is now available on both iOS and Android phones. 2. Partnerships with Experts: Nationwide is a new sponsor of Safe Kids Worldwide — a global organization dedicated to preventing injuries in children. This multi-year partnership with Safe Kids complements the 60-year relationship with Nationwide Children's Hospital, including the Center for Injury and Research Policy. 3. Events: Education will be a large part of the program. Working with partners Nationwide will host more than 100 local events in 2015 to help caregivers better understand and protect their families from the dangers in and around the home. 4. Giving Back: Nationwide and the Nationwide Foundation will continue to support non-profits benefitting children and families through philanthropic investments. 5. Advocacy: Nationwide will continue to convene conversations with policy and government relations experts from partner organizations to explore ways to make homes and children safer. 6. Awareness: With such a concerning knowledge gap, Nationwide will activate a major awareness campaign including national media and marketing to raise awareness and start a conversation about the issue. Nationwide's partnership with Safe Kids Worldwide reflects its joint effort to decrease accidental injuries and deaths on a national scale. Since 1988, Safe Kids Worldwide has been working with a global network of partners to educate and assist parents in keeping their families safe. With Nationwide's support — and the support of other partners — Safe Kids Worldwide hopes to reduce preventable injuries by 50 percent by 2020. "Our partnership with Nationwide will bring Make Safe Happen and childhood safety to the forefront of the national conversation," said Kate Carr, president and CEO, Safe Kids Worldwide. "Nationwide's program will fill a major need by providing resources and easy-to-use tools for parents, and by joining forces with the Safe Kids network of coalitions around the country, we will teach parents what they need to know to help their children grow up to be healthy, strong and safe." Since the 1930s, Nationwide has played an active role in supporting this issue including their engagement with Nationwide Children's Hospital's Center for Injury Research and Policy (CIRP) founded by Dr. Gary Smith, internationally-recognized pediatrician and author of more than 150 child injury-related articles in peer-reviewed journals. Contributions made by the Nationwide Foundation to the Hospital have supported important child safety research and most recently the development of the Make Safe Happen app. The app was developed by Dr. Lara McKenzie, principal investigator at CIRP and mother of triplets. "We are grateful to Nationwide for their long-standing support of our mission to conduct innovative research and make discoveries that will prevent injuries in children," said Dr. Gary Smith, pediatrician and founder and director of the CIRP at Nationwide Children's Hospital. "We commend Nationwide for bringing the important issue of child injury to the forefront through Make Safe Happen and look forward to launching the Make Safe Happen app, together, as an empowering tool for parents everywhere." For more information on child home safety visit www.MakeSafeHappen.com. Nationwide Children's Hospital is America's 3rd largest pediatric hospital and research center with more than 1 million patient visits each year. The Center for Injury Research and Policy at Nationwide Children's is dedicated to reducing childhood injuries worldwide. Nationwide's 60-year history of support to the hospital includes close to $100 million in transformational giving from the Nationwide Foundation. This funding has supported key treatment and research areas including heart, neonatology and injury prevention. Visit www.nationwidechildrens.org. Safe Kids Worldwide is a nonprofit organization working to prevent childhood injury, the number one killer of children in the United States. Throughout the world, almost one million children die of an injury each year, and almost every one of these tragedies is preventable. Safe Kids works with an extensive network of more than 500 coalitions in the U.S. and with partners in more than 25 countries to reduce traffic injuries, drownings, falls, burns, poisonings and more. Since 1988, Safe Kids has helped reduce the U.S. childhood death rate from unintentional injury by 56 percent. Working together, we can do much more for kids everywhere. Join our effort at www.safekids.org. The Nationwide Foundation is an independent corporation funded by contributions from Nationwide companies. Founded in 1959, the Nationwide Foundation has committed more than $345 million since 2000 to help nonprofit organizations in communities where Nationwide associates and their families live and work. Just as Nationwide supports its customers in their moment of need, the company's involvement in its home communities is focused on supporting organizations that help people facing critical or immediate need. Nationwide, a Fortune 100 company based in Columbus, Ohio, is one of the largest and strongest diversified insurance and financial services organizations in the U.S. and is rated A+ by both A.M. Best and Standard & Poor's. The company provides a full range of insurance and financial services, including auto, commercial, homeowners and life insurance; public and private sector retirement plans, annuities and mutual funds; banking and mortgages; specialty health; pet, motorcycle, boat and farm insurance. For more information, visit www.nationwide.com.